Last week we introduced you to a few of the newest additions to our private stash of whiskey barrels. They’re the one-of-a-kind barrels from the world’s top distillers that our team hand-picked to be bottled exclusively for our customers. For a look into how these bottles differ from what’s on store shelves all over the world, take a peak at last week’s post. To learn about the rest of our current collection, read on. The good people at the 1792 Bardstown Distillery – Part of the Sazerac / Buffalo Trace family – were kind enough to send three samples up to Rhode Island late last winter. Though it took some time for the guys to agree, they eventually selected the softest barrel of the bunch, one with well-integrated oaky notes under a warm blanket of bourbon. At 125 proof, it’s pretty hot! Flavor Profile: Bright & zesty. Notes of stewed cherries & clove, with subtle rye spice in the finish. On a very blustery day and after a treacherous road-trip to NY’s Hudson Valley deep in the winter of 2016, our team arrived at Hillrock’s breathtaking estate to taste with Master Distiller Dave Pickerell. After a lot of laughter, chatting and tasting through six freshly drawn barrel samples, they selected this barrel for the pure, grainy rye flavor that Hillrock is known for, along with its subtle caramel coating on the finish. Flavor Profile: Rich & aromatic. Like running through a field of grain with your mouth open after you had a Hershey’s Kiss. What could possibly make an Irish whiskey aged in ex-bourbon barrels and finished in sherry barrels better? Giving them a final resting in a Madeira barrel before bottling, of course! With only a very limited number of bottles available, we jumped at the chance to add this to our collection. Flavor Profile: Creamy & fruity. A mouth-coating blast of warm pear and raisin with a subtle warming finish. On a perfect early spring day in Kentucky our team had the arduous task of tasting through 17 barrels at the Four Roses distillery with Senior Brand Ambassador Al Young. They eventually selected one with the “Q” or “Floral” yeast strain, which is not a common choice. Later that day they ran into Four Roses Master Distiller Brent Elliott, who was excited that they had chosen the “Q.” It’s one that he’s most proud of. We hope you like it, too. Flavor Profile: Delicate and demure. So subtle, with wispy floral and citrus notes belying the extraordinary ABV. Hailing from Louisville, Eric Taylor, our Director of Operations, is always up for a trip back home to pick out bourbon for us. On this trip, he selected the 3rd and 4th barrels we purchased from Four Roses. Barrel #3 is long gone from our shelves (though we’re still pouring it at The East End!) but there’s still a bit of #4 left. This one-time expression derives its distinctive flavor from the proprietary “F” strain of yeast. They call it the “Herbal” one, and for good reason. Flavor Profile: Unique and herbaceous. You’ll not find a bourbon like this again. It has a crazy interplay of lavender, thyme, dill, cedar and sandalwood flavors. On our bourbon trail adventure last spring, we decided to select a bottle to commemorate the opening of the new whiskey & wine bar on Wickenden Street – The East End. We tasted through seven barrels of bourbon and finally landed on this expression, given its spicy rye finish and sturdy backbone from older-barrel aging. It’s warm and inviting, and at 100 proof, is perfectly suited to mixing awesome cocktails at the bar. Postscript: What Happens To The Wooden Barrels? After the distillery bottles the bourbon we’ve selected, they ship us the cases of bottled bourbon with the barrel, still wet inside and soaked with whiskey. Once here in RI, we send them to local breweries to fill with beer, rest for a few weeks, and throw into kegs for The East End. For a truly unique experience, come in for a taste of one of our Four Roses barrels along with Foolproof’s Raincloud Porter aged in the same barrel. Or Elijah Craig, with a barrel aged stout from Grey Sail. We’ll be sure to keep you posted when new barrels and beers are released. Here’s a handy cheat sheet that will give you a sense of what each bottle of Four Roses will taste like. Keep in mind, though — as readers of last week’s blog post know — that the resulting flavor of each individual bottle will vary based on where within the rickhouse it aged. These combinations result in 10 different possible Four Roses recipes: OBSV, OESV, OBSK, OESK, OBSF, OESF, OBSO, OBSQ, and OESQ. All ten recipes are blended to make Four Roses Yellow Label. Four Roses Small Batch is always a blend of OBSO, OBSK, OESO, and OESK. Four Roses Single Barrel is always OBSV alone. Thanks for your interest in our Private Barrel Selections! We’d love to hear what you think! 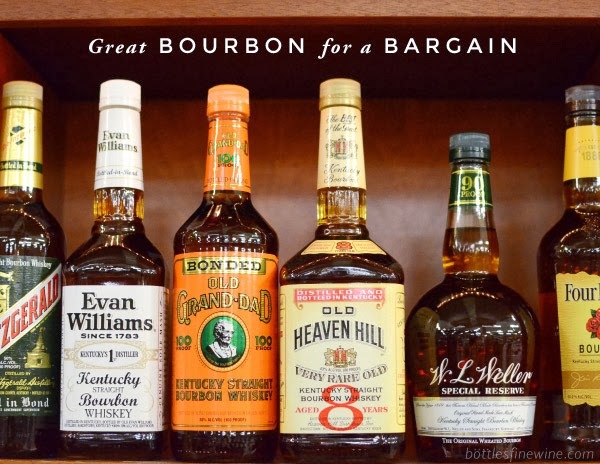 This entry was posted in Learn About Spirits, Other and tagged 1792, bourbon, Four Roses, glendalough, hillrock, private, private barrels, whiskey on September 26, 2017 by bottlesfinewine.